As one of the most used and most valuable rooms in your Medford home, a bathroom should not only be functional, but also beautiful and comfortable. 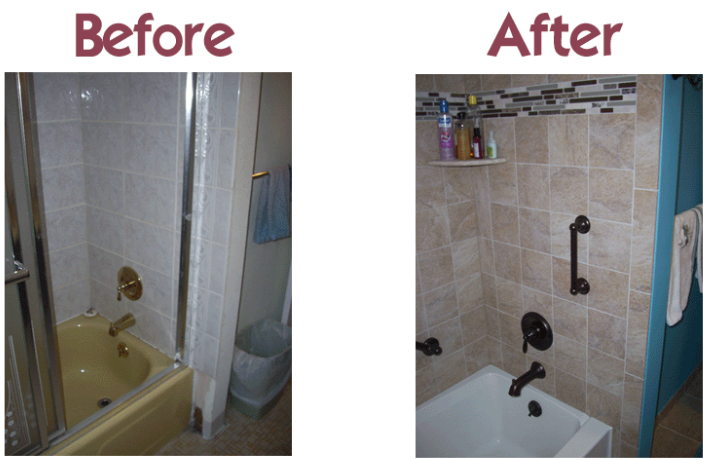 If you are considering a refresher for your bathroom, our team at Harriett’s Energy Solutions can help. With our extensive experience installing and replacing plumbing systems, drain systems, fixtures, faucets, and more, we can help you create the bathroom of your dreams at a price that is cost-effective for your budget. Since 1929, we have been serving homeowners throughout the Medford area, including the surrounding communities in Camden and Burlington County. We provide complete heating, air conditioning, plumbing, fuel delivery, and energy efficiency services. To learn more about our full range of services, contact Harriett’s Energy Solutions today at (609) 451-0914! We can work with a variety of new and existing plumbing systems, including copper, PVC, Pex, ABS, cast iron, and more. Contact us today to discuss your plumbing needs or request an estimate! Whether you would like double sinks, plumbing for a custom shower, or a point-of-use water heater, our plumbing professionals can help. For fixture installations in your Camden or Burlington County home, contact us today! Our experts can help to make your bathroom more comfortable, efficient, and valuable with our complete selection of services. Contact us today to learn more about our available services for your Medford home! From installing new water lines to upgrading your water heater or installing an HVAC system, our team at Harriett’s Energy Solutions can help you throughout the bathroom renovation process. To schedule an appointment or request an estimate, contact us today at (609) 451-0914!